Think You Have a Pest Problem? 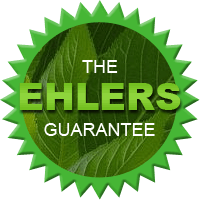 Ehlers Can Help! Bad smells – No matter what type of pest infestation you have, there is almost always a bad odor that comes along with it. Bad smells are often a result of animal droppings, or the infestation has nested inside your walls and floors. 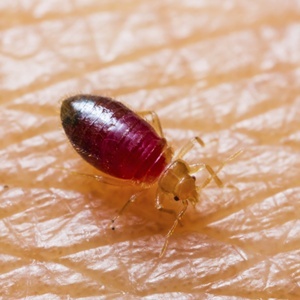 Damage to clothing, drapes, and carpeting – Pests need to eat, and more often than not they like to feast on fabrics commonly found inside homes. Clothing, carpets, furniture, drapes, and other fabric-based items around the house may develop frayed, dirty patches if you have a pest infestation. Ehlers Pest Management is a pest control business committed to providing environmentally responsible residential and commercial pest control services in southeast Wisconsin. Our professional exterminators have had years of experience dealing with all types of infestations – from bed bugs, ants, wasps, and even rodents, our pest control experts know the best, most environmentally-responsible method on getting rid of those pesky critters once and for all. Our Milwaukee-based exterminators employ a comprehensive green approach with the safety of children, pets and the environment in mind. Our low-impact natural pest control methods may include environmental modification, pest exclusion, sanitation, pest baiting, and trapping. When chemical applications are needed, our exterminators carefully apply the best EPA-registered products available. Regardless of the extent of infestation, Ehlers Pest Management solves pest problems swiftly and responsibly. Check out some of our specific residential and commercial pest control services below, or call us today to schedule an appointment with us! Contact the professional exterminators Milwaukee trusts for long-lasting infestation removal.